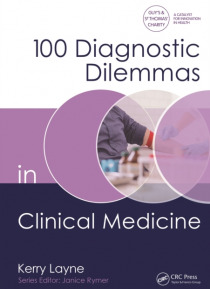 100 Diagnostic Dilemmas in Clinical Medicine presents 100 real-life scenarios seen in the hospital and community setting. A succinct summary of the patient's history, examination and any initial investigations is followed by a detailed consideration of the diagnosis and management of each case, in the short, medium and, where appropriate, long-term. Making speedy and appropriate clinical decision… s, and choosing the best course of action to take as a result, is one of the most important and challenging parts of training to become a doctor. These true-to-life cases will teach students and junior doctors to recognize important medical conditions, and to develop their diagnostic and management skills.